What we believe manifests as reality -- perception. 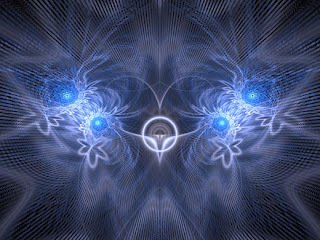 Our focus determines which reality is manifested. When we stop believing, resisting and identifying with form, we realize the unmanifested consciousness of our true being. Nonresistance is the key to the greatest power in the universe. Through it, consciousness (spirit) is freed from its imprisonment in form. Inner nonresistance to form – whatever is or happens – is a denial of the absolute reality of form. Resistance makes the world and the things of the world appear more real, more solid, and more lasting than they are, including your own form identity, the ego. It endows the world and the ego with a heaviness and an absolute importance that makes you take yourself and the world very seriously. The play of form is then misperceived as a struggle for survival, and when that is your perception, it becomes your reality. The many things that happen, the many forms that life takes on, are of an ephemeral nature. They are all fleeting. Things, bodies and egos, events, situations, thoughts, emotions, desires, ambitions, fears, drama... they come, pretend to be all-important, and before you know it they are gone, dissolved into the nothingness out of which they came. Where they ever real? Were they ever more than a dream, the dream of form? When we wake up in the morning, the night's dream dissolves, and we say, “Oh, it was only a dream. It wasn't real.” But something in the dream must have been real otherwise it could not be. When death approaches, we may look back on our life and wonder if it was just another dream. Even now you may look back on last year's vacation or yesterday's drama and see that it is very similar to last night's dream. There is the dream, and there is the dreamer of the dream. The dream is a short-lived play of forms. It is the world – relatively real but not absolutely real. Then there is the dreamer, the absolute reality in which the forms come and go. The dreamer is not the person. The person is part of the dream. The dreamer is the substratum in which the dream appears, that which makes the dream possible. It is the absolute behind the relative, the timeless behind time, the consciousness in and behind form. The dreamer is consciousness itself – who you are. To awaken within the dream is our purpose now. When we are awake within the dream, the ego-created earthdrama comes to an end and a more benign and wondrous dream arises. This is the new earth. 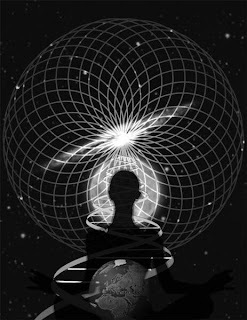 Consciousness can now begin to create form without losing itself in it. Santo Daime originated along the shores of the Amazon River in Brazil, with rituals rooted in Catholicism and a belief in the powers of a sacrament similar to ayahuasca called Daime (translated: "Give Me"). It has migrated in recent years to the United States and several other countries -- there are 3 or 4 "Points" (small groups) in the SF Bay Area that are very private and open by invitation-only. I had little interest in the religion. I was attracted to stories of use of the sacrament -- a brew of the vines from Banisteriopsis caapi and the leaves from Psychotria viridis that grow in the Amazon -- for spiritual awakening. The active ingredients include N, N-dimethylytryptamine (DMT) and a mixture of harmaline-based monoamine oxidase inhibitors (MAOI's) -- as well as any number of other natural plant products. The brew is believed by the members of the church to also contain spiritual components. DMT was termed the "Spirit Molecule" by Strassman, who investigated its psycho-pharmaceutical properties in an academic clinical environment. DMT has no known serious adverse side effects in moderate doses and is not addictive. The legal status permitting use of the brew as a religious sacrament was upheld recently by the U. S. Supreme Court, though DMT is illegal in the US. I was interested in the reported entheogenic properties of the Diame. The ceremony had been described to me, but I wasn't prepared for it when it began. It was not a typical Marin-style gathering of seekers and lost souls. Instead, it was one of the most archaic atmospheres I had ever witnessed without leaving the US. The women occupied one side of the room wearing old-fashion long pleated skirts, white blouses and ... tiaras! The men were on the other side of the room in simple pressed uniforms. I wore all white, as a new-comer. The mood was one of solemn respect for the sacrament, the ceremony, those in attendance, and spirit. We lined up for the first drinking of the sacrament. The taste lived up to what has been described as that of "distilled essence of jungle rot" -- it was not easy to get down and it only got harder as the night went on. Around the room were scattered buckets for "purging" should the need arise (purging is considered a spiritual and physical cleansing and leaving the room for it is discouraged). Then, we sat in chairs and sang hymns - some in English, others in Portuguese. I watched the ceremony unfold into fundamental religious constructs: singing hymns, dancing, and praying. I wasn't prepared for this. I immediately wanted out, but I was too affected by the sacrament to drive my car. I was corrected by a "guardian" when I crossed my legs at one point -- bad for the energetic vortex. I moved to the side of the room and sat in lotus on a zafu. Again, I was corrected for crossing my legs. "I am Buddhist," I thought in my piss-off. "This is how we sit." The fundamental Catholic-Christian atmosphere annoyed my senses as the night continued with more singing and dancing -- and more Diame. I left the room several times to sit on the deck outside. I enjoyed the view, the fresh air, a shifted perspective, and the space from the activities. My friend looked at me and laughed from across the room as she noticed my displeasure. During the ceremony, men and women were not allowed to speak to each other. She had told me all about it beforehand, but she couldn't console me once the activities began. Still, as the night continued, I noticed the sincerity of the people participating in the ceremony. I wasn't feeling the vortex, but there was love in the room and intentions were clear. Beyond the Portuguese hymns, behind the pleated skirts, and under the tin tiaras was something beautiful. The best that I could muster, however, was an understanding that all paths lead to the same Truth. I was relieved when it finally ended well into the early morning hours. Later, I told the friends who introduced me that I didn't feel anything other than a sense of getting "stoned". I was quickly admonished and learned that such terms were not to be used around this group. They are very sensitive about having people show up for a drug trip -- that's clearly not what this is about. Still, that was my experience -- nothing spiritual, just stoned and not an especially pleasant state of mind. She told me that it takes a while for the spirits to trust a newcomer, that one must prove sincerity before more is revealed. Before I knew it, after much discussion, I found myself agreeing to attend ten of the ceremonies before I drew further conclusions. What was I thinking?! I didn't enjoy the next couple ceremonies much more than the first, however I was determined to see it through and honored my commitment to attend ten. I'm sure that there were those who would have rather I didn't bother. It was difficult to hide my discomfort. I refused to sit in my assigned seat and instead migrated to the floor -- preferring to be seated in lotus on my zafu to sitting in a chair, preferring meditation to singing hymns in Portuguese. I was tolerating and being tolerated. However, by the third or fourth ceremony, I began to feel the "Spirit" of the Daime. It was subtle at first, not the blowout I expected originally. First, there were entities who guarded the gate. I was "told" that my priority was to heal and I was shown that I was being cleansed. I found that interesting and confirming in light of what was revealed to me about the "junk" that I wrote about in REVEALED. I was taken on a tour inside of my light body and shown the work being performed to clean it. I was shown that a lot of work goes into maintaining these wondrous bodies -- one assumes a major responsibility with embodiment. I had more visions over the next few ceremonies. I was knighted by a sword of blue light on one occasion. On the next, the same sword was thrust into my chest and left there. On another, I realized myself as a clear, multifaceted crystal sitting in the light of the alter and refracting the light in all directions. On another, I was crowned and a thin layer of the surface of my body transformed to a muted gold-like substance. Of course, I wondered if these mental images were real or imagined -- it's impossible to be objective. The eighth ceremony hit me very hard. I barely made it back to my seat after drinking the Daime. I moved immediately to the floor and laid motionless, unable to move. I had begun to want to participate in the singing, but then was simply unable instead of unwilling. I wanted to skip the second serving of Diame, but the Church leader pulled me up off the floor and lead me to the serving area. I returned to the floor and remained motionless, except for purging, until well after the ceremony ended, the chairs put away, and most people had left. It didn't seem that this spectacle was more than slightly noticed by the others in the room -- as if they'd all been there at some point. I had to be driven in my own car to a friend's house to spend the rest of the night. The nineth and tenth ceremonies were similar -- down hard on the floor -- purging and unable to sing for long though I tried sincerely. The tenth ceremony ended with the vision of a symbolic star being etched on my heart before I crawled upstairs to go to bed. I asked why I hardly felt anything on my first few ceremonies and was brought to the floor on the later ones. The answer I got was that the Daime knew what it was doing -- the harder work had been saved for later. My path was being managed by Spirit. With my commitment of ten ceremonies fulfilled, I thought I had earned a break. However, I was told immediately of a double ceremony the following weekend to be held at a retreat center in the coastal mountains north of San Francisco. The first ceremony honored St. Michael -- the holder of the sword. The second was a fire healing ceremony. It was a larger gathering and some of the people I'd met from the local points were there. This is known to be a powerful work. Again, I spent much of my time on the floor unable to sing or sit in my seat. I wasn't purging as the bulk of the "junk" appeared to be cleaned out. 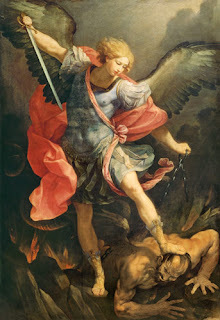 The singing during the St Michael work was beautiful to listen to -- I tried hard to participate. The last hour was amazing. The room lit up and the voices sounded as though they were from heaven. I sat up at one point and crawled on my hands and knees to my seat to be part of it. The fire healing ceremony was different -- more drumming in place of singing. I enjoyed the style more, but it was not as powerful for me as the St. Michael work. I was able to sit or stand for much of the ceremony and even tend to some of my brothers on the floor where I had been the night before. Most people I've met there have been involved in the practice for several years. My work has only begun. The big works are done in Brazil where I'm told that hundreds and even thousands gather for the ceremonies. Some are still performed in remote regions of the Amazon. Everyone I've met is quietly dedicated to the work without any trace of fanaticism. There were no overt attempts made to indoctrinate as the path must be one that is chosen. There have been some important shifts in my perspective during the 2 1/2 months during which the 12 ceremonies took place. It's impossible for me to know if any of the shifts are related to the Santo Daime work. I've also shifted in my acceptance of the ceremonies -- which are an attempt to replicate the Brazilian ceremonies accurately. After several ceremonies, one gets used to it. While I still prefer a Buddhist flavor, I doubt if style matters. The archaic style of Santo Daime provides a secondary function as a gate to ward off the curious and casual observers. The Daime opens one up to the spirit and the heart though, as I described, the effect was not immediate in my case. Such "medicines" can be useful tools provided they are not allowed to become the focus of the experience. There are many factors at work within the Santo Daime ceremony - singing, dancing, chanting, concentration (meditation) and a communion. This can be a profound experience for those it calls. It's important to note that open states of mind can be attained without "medicine". According to Harner, 90% of the world's Shamans don't use psychoactive substances to attain altered states of consciousness and access spiritual realms. Sonic driving (drumming) is most common. As I've mentioned in prior posts, deep meditation is effective as well, but requires more practice to attain and sustain -- breath work can be effective, too. Ultimately, accessing spiritual awareness comes down to having the ability to manage one's own mind and heart. Quiet the mind, open the heart and tap into the subtle energies.